Insulated glazing usually consists of double-paned, but also often triple-paned glass, which have different functions due to the differences in their manufacturing and coating. Such a complex and functional glass structure is produced during a lengthy manufacturing process in which many small steps are taken that are susceptible to error – making it even harder for businesses to guarantee a constant and repeatable glass quality. Complaints can only be reduced or even completely avoided through extensive quality control. 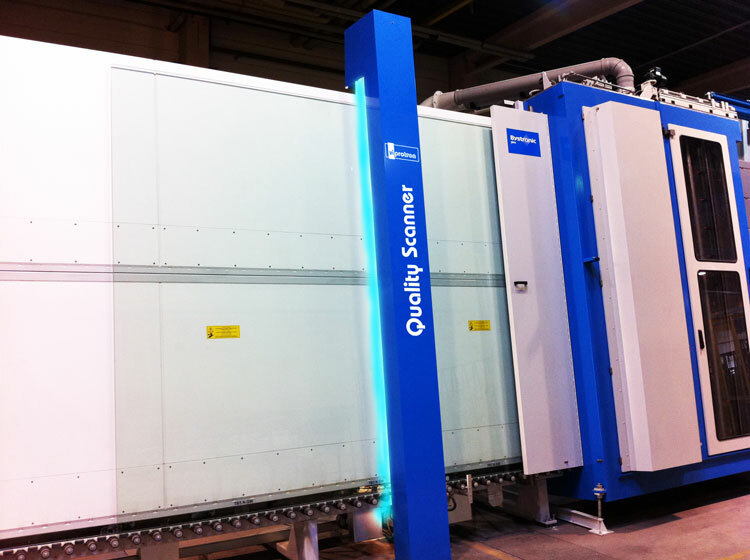 The Quality Scanner is integrated into the insulation glass production line directly after the washing machine. At this point the scanner detects every kind of glass defects reliably by stopping the damaged glass in the inspection area and projecting the error clearly and precisely onto the monitor and the optional Defect Pointer. Dirty glass can be cleaned and then continue to be manufactured, while defective glass is discharged. With the incorporation of the Quality Scanner the manufacturing time of the production line can be maximized, as qualitatively faultless glass does not need to be inspected manually. When the Quality Checker is integrated after the press, only the glass that fulfills the standards of the manufacturer and the customer are taken out of the production line. 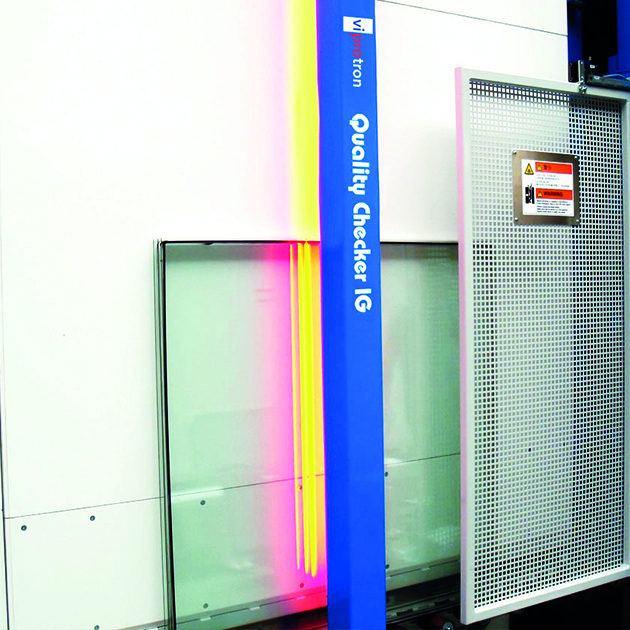 The machine inspects the glass panes for scratches, verifies that butyl has not leaked into the visible areas and checks if the spacers and georgian bars were positioned correctly in the double, triple or quadruple glazed glass. The Quality Scanner and Quality Checker save the results of the quality inspection in an extensive database. In the event of a complaint, the database can then be consulted to enquire into the quality of the glass during the manufacturing and at the end of the production line, before the insulated glass left the factory. 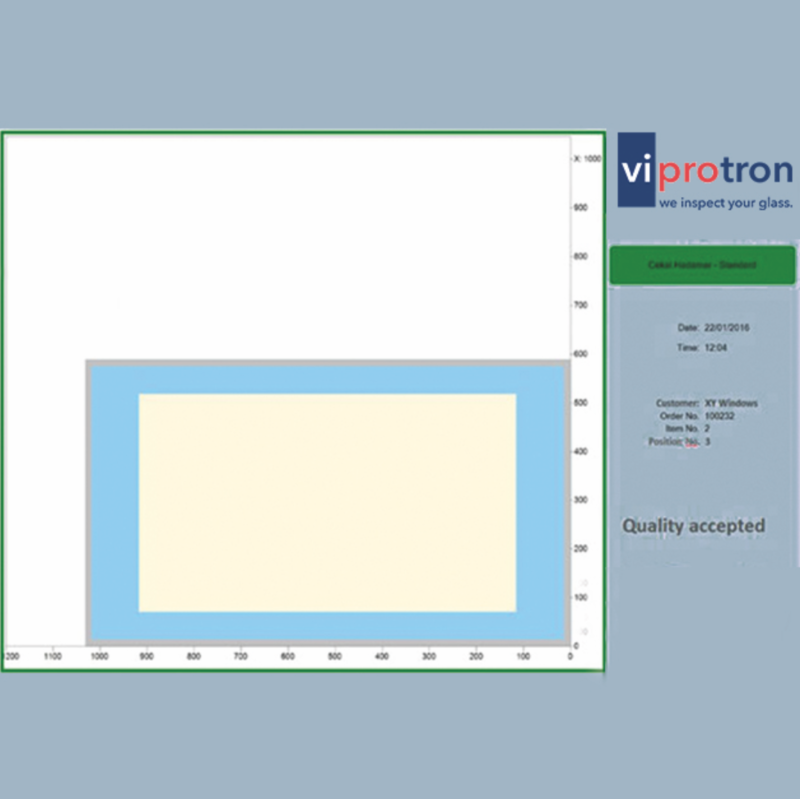 With the analysis of the quality results from the Quality Scanner and the Quality Checker, manufacturers can learn where there is the potential to optimize the manufacturing process and where the glass production can be improved to be brought to a higher level of glass quality.